Gray PVC is altered if it strikes the sun outdoors for a long time, but it is OK if it is HI. In Homsen you get the size that you can not get in the monotalou. This review is about item#34661961. Of course you can use it without problems, it will be greatly appreciated because you can respond to the shipping requirements on the day. This review is about item#34661977. Since PVC piping can be screwed in, we use it for parts where parts replacement such as valves is required. It is safe because it is a product of a leading manufacturer. This review is about item#34661934. Used to connect flange and pipe. It is easy to use with good nourishment. This review is about item#34661943. It is very handy because it is easy to process as soon as it is reasonable and easy to deliver. Especially it can be used without problems. Materials shop in the neighborhood is cheaper except price on special sale day so please do your best a little more. I do not see any dissatisfaction at all. Eslon of Sekisui, another company's enbi was hit by ultraviolet rays, it was half a year, I understood that the color was discolored in the part where the direct sunlight was hit and the shadow part. I am always using HIVP but I am paying attention not to break the old envies hit by other company's ultraviolet rays when cutting with a pipe cutter, but you can feel secure with Sekisui · On Sekisui's Eni pipe scale scale Please sell. It was cheaper than purchasing at home center. 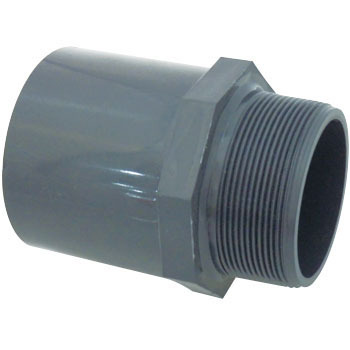 Connection between ball valve and PVC piping. I can buy it cheaper than a home center, and I use it without problems.